The summer months—when many areas experience the most hours of daylight and the strongest rays from the sun, and when people spend more time outside—can be an especially difficult time to be vigilant about shielding yourself from harmful ultraviolet (UV) radiation. Given the health dangers, it’s the most critical time to be on the ball about sun protection. 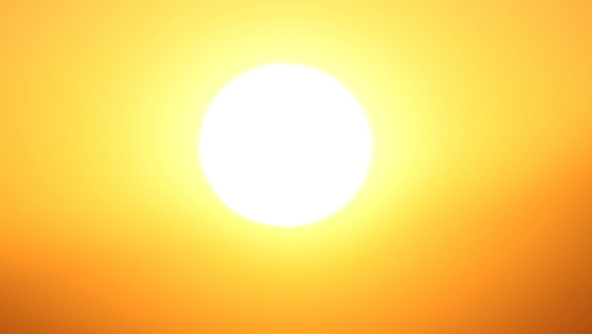 While UV exposure is a concern for anyone who spends time outside, it is particularly problematic for people who work beneath the sun’s powerful rays for prolonged periods of time each day. This includes outdoor workers in various industries such as construction, agriculture, oil and gas drilling, leisure and hospitality, and landscaping. July is UV Safety Month, so MSDSonline is reminding employers to make sure you’re taking the necessary precautions to protect yourself and your employees from the sun’s harmful rays. UV rays can penetrate and change the structure of skin cells, damage connective tissue, and increase a person’s risk of developing skin cancer. Skin cancer is the most common type of cancer and is perhaps the most significant, and deadly, health risk associated with sun exposure. According to data published by the American Cancer Society, there will be more than 73,000 new cases of skin cancer in the U.S. diagnosed during this year alone, and one out of five Americans will be diagnosed in their lifetime. Other health risks associated with UV exposure include a weakened immune system and vision damage, including macular degeneration, cataracts, and pterygium (a non-cancerous growth in the eye that that can obstruct vision). Fortunately, steps can be taken to guard against the harmful effects of UV radiation. Organizations such as The U.S. Department of Health & Human Services, Centers for Disease Control and Prevention (CDC), and the Skin Cancer Foundation offer the following key information to keep in mind. Liberally apply broad-spectrum sunscreen to all exposed skin at least 20 minutes before going outside, and re-apply throughout the day—every two hours to be safe. The sunscreen should have a sun protection factor (SPF) value of at least 15. Throw away old sunscreen, as it loses its effectiveness after 1-2 years. Use extra caution between 10 a.m. and 4 p.m.—when sunlight exposure is highest—and when at higher altitudes or near reflective surfaces like water, sand, and snow, which increase your chance of sunburn. When possible, employers should avoid scheduling outdoor work during times with the greatest levels of sunlight exposure. Wear a hat, as well as sunglasses with 99 or higher UV block to help safeguard against sun-related eye problems. Wear appropriate clothing. Tightly-woven dark clothing is more protective from UV exposure than loosely-woven, light-colored clothing. Examine your skin from head-to-toe at least once every month to look for changes of any kind, such as sores that do not heal or abnormally-colored marks and growths. See your physician once a year for a professional skin cancer exam. This is critical because if caught early, skin cancer has a survival rate of 80-90 percent or higher. In late-stage diagnosis, 5-year survival rates average as low as 15-40 percent. You are also susceptible to sun damage on cloudy days and during all other seasons (including the winter), so remember that UV protection is important not only in the summer sun, but all year round. For additional information on the health risks of UV radiation exposure and helpful resources, such as a downloadable fact sheet on protecting yourself from sun exposure, visit CDC’s UV Radiation page. The U.S. Department of Health & Human Services also offers flyers, posters, quizzes and other resources to help promote sun safety. To make sure you are taking the necessary steps to protect your employees who work outdoors, consider registering for MSDSonline's training course "Working in Extreme Temperatures." Contact an MSDSonline Representative at 1.888.362.2007 to register or to learn more about our cloud-based Workplace Training solution, which makes it easy to assign relevant course topics to employees throughout your organization, track their success, generate course-completion certificates, and serve as evidence of your training efforts.